All the people who praise the heavens for the accessibility of Slack don’t have to be introduced to this simple, yet innovative tool. To those, who haven’t heard about the tool helping global teams work together, we have good news – now you can quickly catch up! Slack is a collaboration chat tool used both in and out of organizations to help teams communicate and coordinate in a more effective manner. It does so by segregating conversations by channels which can be specialized for different uses as needed. This minimizes noise and allows chats to stay on topic. Slack was also the first hosted app to allow integrations on its platform. Now, it comes with a collection of apps and integrations that makes it much more powerful and useful than ordinary messengers. This was what gave Slack its significant growth rate. And now, we are proud to introduce you to Text United Slack integration that will upgrade your translation project workflow. Our integration with Slack creates a locked channel exclusively for team members like translators, proofreaders, and in-country reviewers who can log in to the channel from the translation task. When one of them leave comments in the project, an automated Slack message is generated with the link to the segment where the comment is left. This creates a possibility of managing the projects and observe the progress in the real-time while also enabling team members to communicate better. 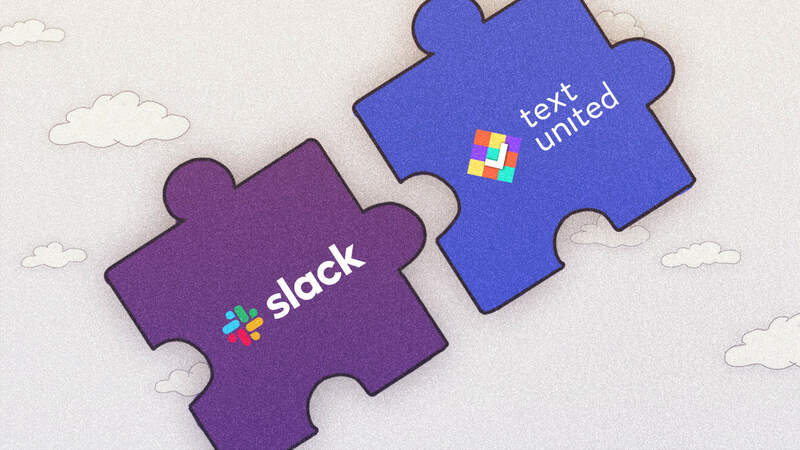 The Slack integration with Text United is simple and efficient, allowing for easy collaboration and a unified space for exchanging messages for a project. The integration works on a project level. After you connect to your Slack workplace and use your credentials to login, you are good to go. Simply navigate to your project details and click on the Connect now button for Slack integration. The next step is for your team members to login from their side as well. They can connect to Slack by entering their own credentials in the task overview. Text United will automatically create a new channel in your Slack workspace for the connected project. If you need help with integrating Text United to your Slack workplace, feel free to reach out to us! Are you ready for a communication revolution?